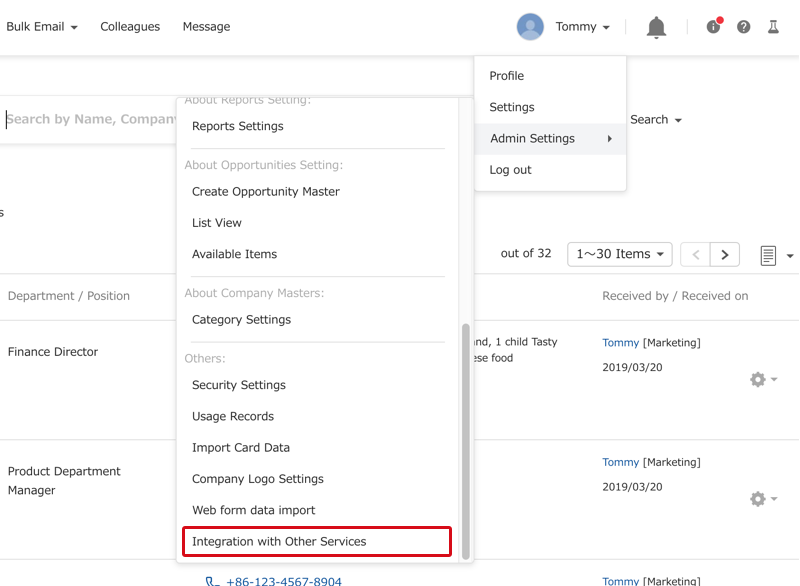 These are the necessary steps and settings to integrate Sansan with Salesforce. 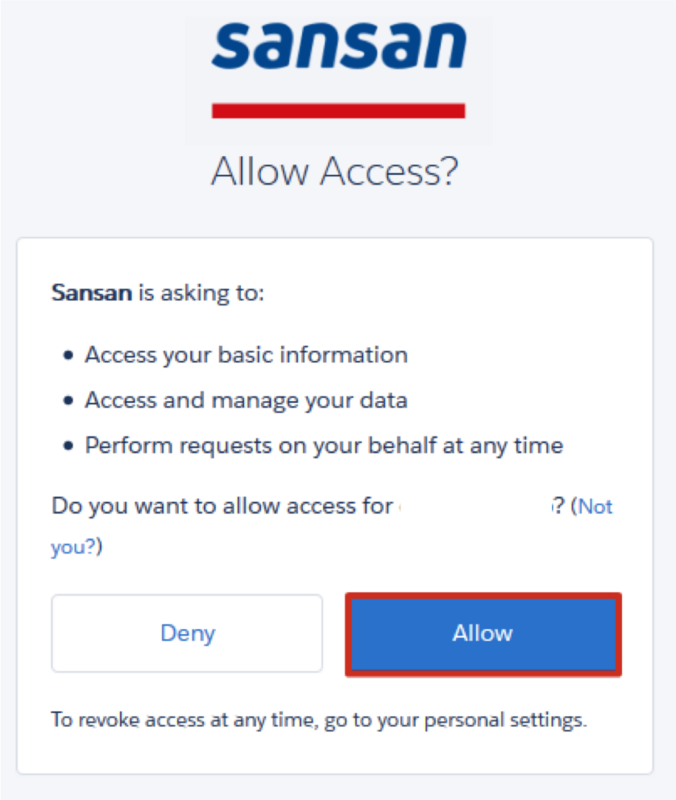 This is a paid function and only available to contracted users of Sansan. Please contact our Sales department if you need more information. Available for editions that include the Salesforce Web API function. The full process of transferring information takes about 5 working days. After processing begins, time to completion will vary based on the number of contacts and amount of information involved. 1. In the top right of the screen, click on your name, then "Admin Settings" then "Integration with Other Services". *We recommend you assign a dedicated person for integration and establishing user settings. 2. Under the Salesforce tab, click "Start setting up Salesforce". 3. Choose the type of connection and click "Go to Authentication". The Salesforce login screen will be displayed. 4. 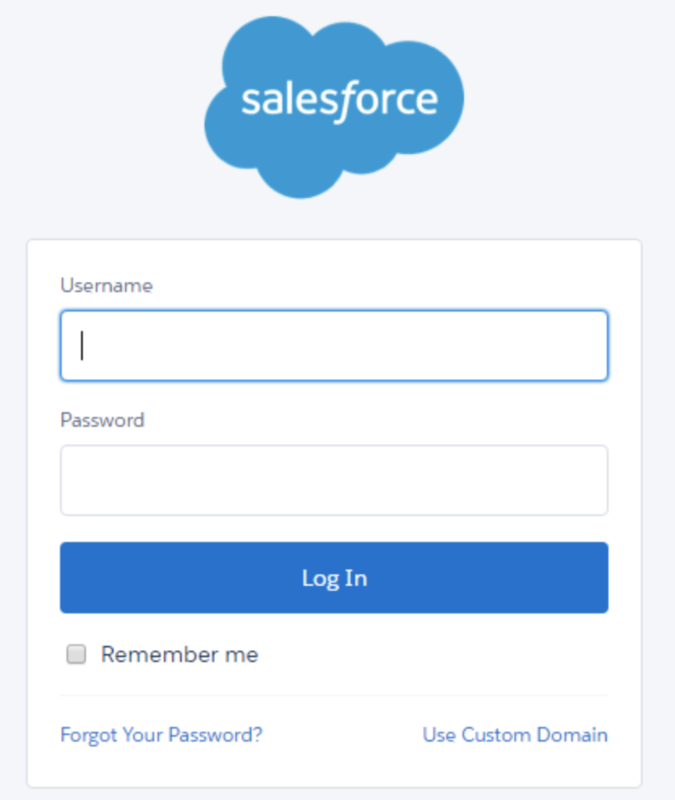 Enter your Salesforce username and password and click "Log in". The access permission screen will be displayed. 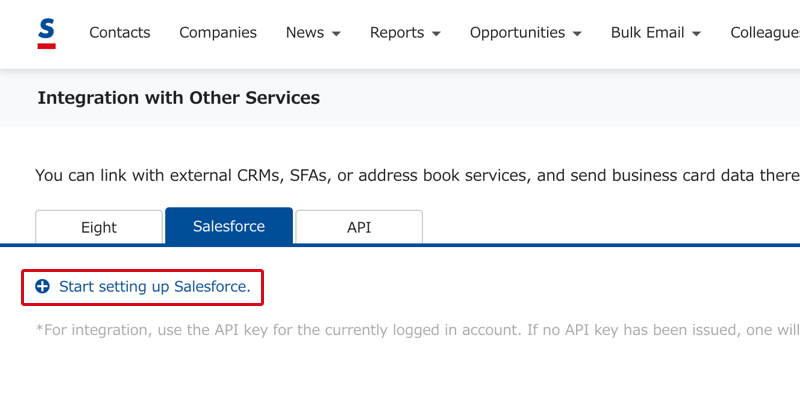 *If you have set IP address restrictions in Salesforce, please use the inquiry form to send a request with the subject line, "Request for IP address for Salesforce integration". 5. Check the screen and click "Allow". Authentication will complete and details on the connection will be displayed. 6. Click "Go to set up". A list of Sansan and Salesforce accounts will be displayed. 7. Check if the accounts are properly linked. 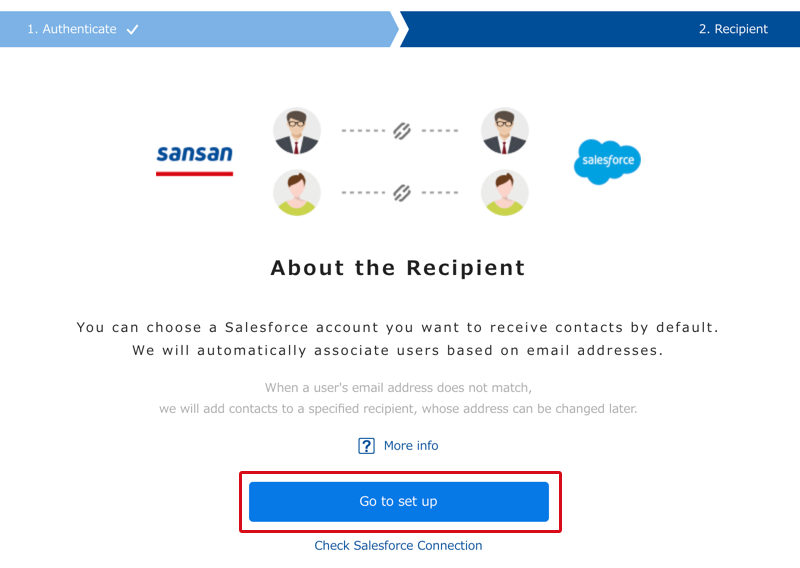 If the email address for the Sansan user and Salesforce username are the same, the Salesforce recipient will be connected. If the email addresses don't match, the integrated user's Salesforce account email will be used. 8. To change the Salesforce recipient click "Edit". The "Change recipient" screen will be displayed.Proceed to step 9 if you don't want to change the recipient. 9. When all accounts are successfully connected, click "Save". The transfer will be completed in about 5~7 working days after finishing this setup. Sansan will send an email to concerned users when the transfer begins.